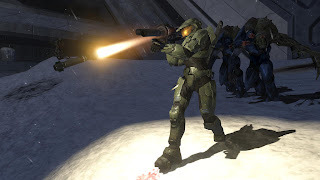 Image from Halo 3, courtesy of commorancy. My son Max spent a recent Saturday afternoon visiting a new friend, A.J. The days leading up to this were filled with anticipation and planning, most of it centered around A.J.’s xbox. Below is a chart showing 27 activities and the amount of time the two boys planned to devote to each one. For example, in their three hours together, Max and A.J. planned to play a board game for just 6-1/2 minutes, eat for 19-1/2 minutes and play video games for a whopping 32-1/2 minutes. When Max returned home, I asked him how the afternoon went. oh, that visual is sure scary isn’t it?